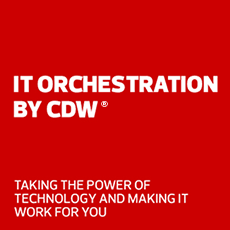 Panasonic and CDW provide end-to-end mobility and technology solutions for the toughest jobs. Panasonic delivers game-changing technology solutions that drive better outcomes for its customers and its customers' customers. Panasonic engineers reliable products and solutions that help create, capture and deliver data of all types, where, when and how it is needed. Toughbook 33 features a groundbreaking 3:2 display, making it easier to handle while improving readability of the business applications and documents workers use every day. Panasonic Toughbook® laptops are engineered with enterprise-grade security to withstand drops, spills, dust and grime, and to perform in the harshest environments. With near-zero failure rates, Panasonic scanners are built to last. The award-winning Advanced Exchange Warranty promises that if your scanner fails, Panasonic will ship a replacement within one business day so you don't have to keep your business waiting. A little over four years ago, this police department was struggling with constant laptop reliability issues. Find out how Toughbook laptops helped. Faced with aging hardware, the Roswell Police Department needed a new vendor to supply them with mobile computers to endure Georgia's summer heat. Read about how the Toughpad improved Houston's emergency response time.